The cosmopolitan is an elegant martini-style cocktail that derives its pink color from a splash of cranberry juice. 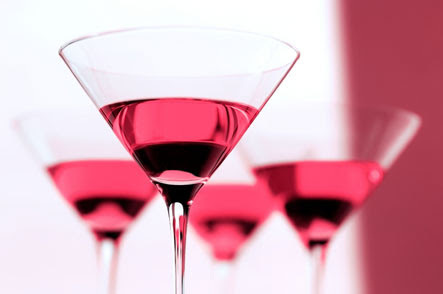 This easy cosmopolitan recipes tweak traditional ingredients to include subtle taste twists such as Cointreau (intense sweet and bitter orange) and pomegranate juice. In a cocktail shaker combine liquids. Add ice cubes, cover and shake until cold.